Searching for WooCommerce SEO and Marketing, Tips, Tools, and Resources to improve your search engine optimization, marketing, to increase your eCommerce sales from WordPress' most popular open-source plugin, WooCommerce? In this guide to WooCommerce's best SEO and marketing features and themes, this is how to optimize, increase, and improve your search engine marketing to acquire more customers. Need marketing and SEO strategies, tools, and tips for your WooCommerce site? Is WooCommerce good for SEO? How can I do SEO for WooCommerce to rank higher on Google? This guide provides all the answers. When it comes to e-Commerce , WooCommerce is one of the most popular tools. Not only is WooCommerce great for SEO and powering an online store – WooCommerce says it’s used on 30% of all e-Commerce stores across the entire web. But it is also one of the oldest e-Commerce tools, and as such, there are more than 1000 performance and SEO plugins for WooCommerce. In other words, if you want to launch an online store, WooCommerce will help you launch successfully and grow more quickly. Although WooCommerce has a number of great out-of-box SEO features, store owners have to conduct their own WooCommerce SEO to rank higher on Google. How do you do it? We’ve highlighted some handy tips for optimizing your WooCommerce store in this SEO Guide for WooCommerce. Is WooCommerce Good for SEO? WooCommerce vs Shopify: Which is Better? Whether you’re just launching a WooCommerce store, or you want your existing store to rank higher on Google, this guide provides helpful tips, strategies and how-tos driving more traffic to your WooCommerce store. Make sure you read about every tip, tool, and resource about WooCommerce, so that you can best optimize your website, generate more traffic, convert more sales leads, and increase your sales revenues. The short answer is, yes, WooCommerce is great for SEO. In fact, it’s the best tool for building an e-Commerce store on WordPress. And WooCommerce contains many helpful SEO features, as well as hundreds of SEO plugins, that can help you further improve the optimization of your WooCommerce store. Ultimately, since WooCommerce is a plugin for WordPress, store owners need to focus on improving SEO for WordPress to rank higher on Google. If your WordPress site isn’t properly optimized, your WooCommerce store will be more difficult to rank in relevant searches. WooCommerce SEO Tip: Want to learn more about SEO? Read Vail Networks’ guide What Is SEO? for an insider’s look at SEO best practices. Woocommerce vs. shopify: Comparison which is better? WooCommerce’s largest competitor is Shopify. And both of these tools are great for e-Commerce SEO. According to a recent ranking, Shopify and WooCommerce scored 98 and 97 points respectively, for their ease of use, performance, and SEO capabilities. However, let’s be clear: just because Shopify is 1 point higher on this scale, any e-Commerce platform built on WooCommerce can be just as successful (if not more) than a Shopify website. One thing to consider: WooCommerce is hands-down the best e-Commerce plugin for WordPress. If you’re familiar with WordPress, you can quickly learn how to use WooCommerce and launch it on your store. Because it is a WordPress plugin, WooCommerce also allows a bit more customization. Shopify, on the other hand, allows users to build stores using their software, similar to Squarespace. Shopify does have its own SEO features that make it an excellent platform for marketing and SEO. However, WooCommerce has more sales optimization and SEO tools, it’s more established, and there are more WooCommerce experts and courses available to help you learn how to use it. Compared to Shopify and BigCommerce, the WooCommerce platform is built ready to perform. Overall, we are 100% confident that WooCommerce can match or beat any other e-Commerce platform website builder on the market. Before you launch a WooCommerce store, you’ll have to select a theme. There are thousands of options, including 1,200+ WooCommerce themes on ThemeForest. With all these options, you are probably wondering: Which WooCommerce theme is best for SEO? how to speed up WooCommerce site: tips to reduce page load time and make woocommerce site faster. Choose a responsive WooCommerce theme. “Responsive” means the store is optimized for mobile, tablet and desktop users; the layout dynamically changes based on the user’s device. Since mobile friendliness is a key Google ranking factor, using a responsive theme will ensure your store has a great mobile experience. We highly recommend upgrading/updating your WooCommerce site at least one time per month. Several themes are not updated that often, but keep an eye out on every update possible. Why? Because updating your WooCommerce site can show Google and other Search Engines that you are keeping your site in what we call “SEO Compliance” which is best practices for search engine optimization. WooCommerce and WordPress are both updated multiple times per year. Themes, therefore, need to be updated regularly to remain compatible with both platforms. Check the theme’s change log to see the date of its last update. how to update your woocommerce theme. How Can You Update Your WooCommerce Theme? Login to your WordPress cPanel. how to upgrade your woocommerce site. 4. Log into your WordPress Dashboard. 5. Click on “Appearance > Themes”. 6. Still within the Themes section, on header tab, click on “Install Themes”, then on header second tab click "Upload". 8. In the “Upgrade existing theme?” option choose “Yes” from the list. 9. 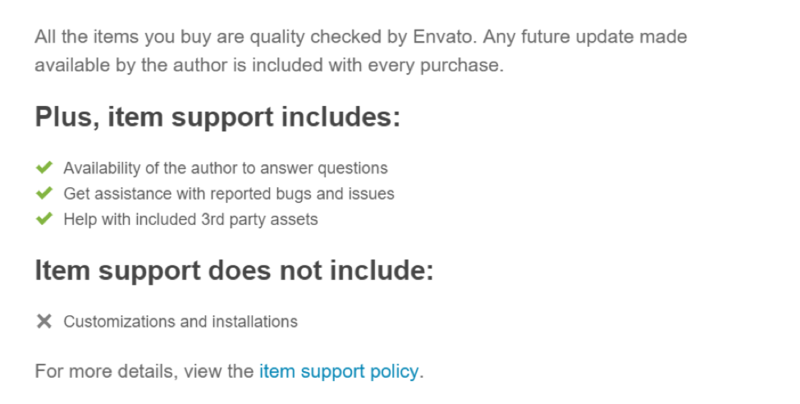 Click “Install Now” to get your updated theme ready for publishing. 10. Click “Activate” to officially install your updated/upgraded theme. WooCommerce Theme Tip: Choose a theme that has been updated within the last 3-6 months. Also, an established theme that was created within the last two years is better than a newly created theme. Keyword Selection Matters, Big Time. How can you select/choose the best keywords for your WooCommerce site? Keyword optimization is critical for WooCommerce SEO. In fact, keyword research is the first step in a WooCommerce SEO campaign. But you might be wondering: What is keyword optimization? Keyword optimization refers to incorporating targeted keywords into your WooCommerce store. Each product page, post or static website page (About Us, Homepage, etc.) should be optimized for individual keywords, and there are numerous places – content, page titles and metadata – where you should be utilizing keywords. What keywords should you target on WooCommerce? Short Tail vs. Long tail Keywords – How to Pick? In general, you’ll want to target short tail words on main store pages – homepage, category pages, etc. – and long tail words on product pages. A tool like UberSuggest can help you identify opportunities. how to select the best keywords for woocommerce seo. Identify words with high commercial intent for product pages. These are keywords that people use to find particular products, and show that they’re closer to making a purchase. Keywords that include purchase signals. “Buy now,” “for sale,” “deals,” or “coupons” are all popular purchase-related searches. How to pick product keywords for your woocommerce site. WooCommerce Marketing & SEO Tip: Your brand probably isn’t as recognizable as Nike. But you can still stand out in search results. Look for high-volume Product Category keywords. Use these on your category pages. For product pages, use modifiers to rank for long-tail terms, e.g. mens sneakers blue or mens sneakers size 12. What’s best for Search Engine Marketing? Answer: High Volume Keywords with Lower Competition. Focus your efforts on high volume keywords. This will generate the biggest rewards. Yet, many high-volume words are difficult to rank for. Sort your keyword lists by competition. Identify high-volume words with low to medium competition – target these words for fastest results. Relevancy: Find keywords that are relevant to your store’s pages. Use highly targeted keywords on product pages – “yellow men’s basketball shoes” for a page selling yellow Air Jordans. On your Homepage, target descriptive short tail keywords. WooCommerce Keyword Tip: Group your keywords by relevance. For example, niche keyword phrases like “yellow men’s basketball shoes,” “men’s yellow basketball shoes” and “yellow basketball sneakers” are all similar. All of these terms could be targeted by your page selling yellow Air Jordans. Start by writing out a broad list of keywords based on your inventory. If you sell iPhone accessories, your keyword ideas might be: iPhone 10 accessories, iPhone 10 cases, iPhone X cases, iPhone cases, etc. Ubersuggest helps identify the best long-tail keyword phrases for your WooCommerce site. Keyword.io generates keyword lists from the autosuggest features on Google, Amazon, YouTube and other search engines. These will help you identify specific product page keywords. Google Keyword Planner provides volume and competition estimations for keywords, and can help you organize keywords for your site. You’ve got your list of keywords. Now it’s time to start incorporating those words into your website. Effective on-page SEO for WooCommerce will help your store start ranking faster. To start, you’ll want to map out your keywords. Rule 1: Choose a focus keyword(s) for every page on your site. Each individual product page, post or static page should be optimized for a specific keyword or phrase. You might target 2-5 on broader pages – like your store’s homepage – but on product pages, target one specific keyword term. Alright, so you know which keyword you’ll be targeting on every page of your site. Now, you have to optimize individual pages for those keywords. how to optimize woocommerce website. Incorporate your focus keyword into the page title. If you have room – title tags on Google allow up to 60 characters – you can add a secondary phrase or keyword. Add your brand name to the title tag as well. Meta descriptions are short 160- to 320-word characters used in Google search results. Keywords in these descriptions appear in bold in Google search, which can help you generate more clicks per page. Use keywords and synonyms naturally in your meta descriptions. Use your focus keyword, as well as other synonyms from your keyword groups, within the actual content on the page like a product description or blog. The main title should include your focus keyword, while other sub headers can use synonyms and related keywords. Keep It Short – URL slugs should contain 3-5 words. Avoid Stop Words – Stop words like “of”, “for”, or “a” are unnecessary in URL slugs, and can actually have a negative impact on SEO. all about woocommerce seo: how to optimize and improve page titles. You can manually edit metadata on WooCommerce and WordPress. But it’s much more efficient with an SEO plugin. A tool like Yoast or SEO All in One Pack for WordPress allows you to seamlessly edit and optimize page titles and meta descriptions. Yoast: When you create a new page or post, Yoast integrates a metadata editor into the WordPress page editor. SEO All in One Pack: This works similar to Yoast. When a new page is created, a metadata editor is included within the page editor. SEO Optimized Images: This plugin allows you to add image titles and alt text automatically. If you’re using Google Analytics, you can quickly gauge site speed. On an e-Commerce site, your site speeds directly affects revenue; long load times result in significantly fewer sales. how to link and integrate woocommerce and google analytics. Add Navigation Breadcrumbs – Breadcrumbs are small text links that sit at the top of the page. They provide a helpful way for viewers to navigate lots and lots of product listings. how to create a navigation bar for woocommerce: convert more customers with breadcrumbs. A tool like Yoast allows you to quickly customize breadcrumb appearance on your site. To alter breadcrumbs in Yoast, you must first edit your theme. Why Use Navigation Breadcrumbs? Breadcrumbs help users navigate your inventory. Similarly, they also make it easier for Googlebot to crawl your website’s pages and inventory. Learn more about indexing and crawling in our What Is SEO and How It Works. An XML sitemap is a text file that explains the structure of your website. These maps are used by Googlebot to understand pages on your site, and determine which pages are most important. You can create this document manually, but many SEO plugins for WooCommerce make it simple. how to create sitemap for woocommerce. Run your WooCommerce store through a tool like Mobile Friendly Tester for ideas to improve the mobile experience on your site. But let’s be clear: you absolutely MUST test your WooCommerce site to see how mobile-compliant and compatible your site renders on mobile devices. Nearly 60% of all WooCommerce traffic to business pages will come from mobile this year! Schema markup, which is also referred to as rich snippets, is a form of microdata that’s utilized by search engines. This data is then integrated into search results, which makes product pages appear more credible in search results. how to add schema markup and snippets to woocommerce sites. how to add reviews to woocommerce products. Beyond product pages you can add schema to other types of content, including events, articles, reviews and videos. As Google and search engines adjust their rankings factors, schema markup will become even more critical for e-Commerce websites, especially those hosted on WooCommerce. This plugin enables you to add schema in a variety of categories including products, videos, articles, reviews and more. This plugin allows your store to capture user-generated reviews, and then turns those reviews into rich snippets. You’ll accomplish two birds with one stone – snippets and product reviews. This is one of the most comprehensive snippet plugins for WooCommerce. You can add a wide variety of rich data to your product pages, including reviews, prices, availability, and much more. wordpress plugin for schema markup and snippets. worpress plugin for product reviews. Managing your product taxonomies – including categories, tags and attributes – is a key strategy for SEO. Effective management can help you rank category pages for relevant keyword phrases, while using product tags can help you link products with similar attributes. Use Categories to Group Like Products – Categories are a broad way to link similar products. For example, a men’s apparel store might have these categories: Men’s Pants, Jackets, T-Shirts, Hoodies, Sweaters. You can then categorize products when creating a new product page. If you have a complex inventory, you might use subcategories. An example would if you sold jackets, but had many different styles, so you might create subcategories for: Blazers, Ski Jackets, Rain Coats, etc. Tags are useful for grouping products with very specific features. For example, a men’s apparel store that sells lots of NFL branded shirts and hoodies might create a tag for “NFL”, which would create a broad library of all NFL products. The attributes feature allows you group products based on specific attributes. This then makes your inventory searchable by those attributes. For example, you might use colors, sizes, or a specific style as an attribute. This WooCommerce-developed plugin allows you to integrate Google Analytics and WooCommerce. In turn, you can start collecting highly useful conversion data from your online store. Google Analytics makes it easy to see which product pages are working, which could be improved, and your most valuable traffic sources, among many other useful insights. This plugin, which is compatible with Yoast, automates micro data creation on for all pages, including product pages. This will allow you to incorporate pricing and stock availability on all product pages. Plus, it auto-generates image alt text, which can help improve image optimization. best plugins for woocommerce & wordpress seo. best woocommerce and wordpress plugin for thank you and customer follow-ups. Yoast is one of the most powerful SEO plugins for WordPress, and the WooCommerce addon for Yoast puts all that great functionality on your product pages. The Yoast editor allows you to write custom metadata, it analyzes the on-page SEO performance of your pages, and provides SEO suggestions. best wordpress plugin for seo. Beeketing is a powerful sales optimization plugin for WooCommerce. It allows users to optimize their product pages and add a number of rich features: From pop-up coupons for first-time visitors, to sales countdown timers. It’s can also handle cart abandonment recovery. If your goal is sales, you need this plugin. You can even add targeted popups with Beeketing’s plugin for sales and marketing. best sales plugin for wordpress and woocommerce. This is another popular SEO tool for WordPress, and the WooCommerce add-on makes it accessible on your online store. This tool makes it easy to edit titles and other metadata on your product pages. You can use the editor to optimize your Product pages. It’s the most popular WordPress and WooCommerce SEO plugin, alongside YoastSEO. most popular wordpress and woocommerce plugins for SEO. Want to know how to connect and link your WooCommerce site with Google Analytics? One of the best SEO tools for WooCommerce is Google Analytics. The powerful and FREE analytics tool helps e-Commerce sites learn more about their visitors and identify key opportunities for improving SEO and their sales funnels. The easiest way to integrate Google Analytics is with a plugin. The WooCommerce Google Analytics app is one of the best, and easily allows you to integrate Google Analytics into your site. Why Link Google and WooCommerce? Google Analytics is a powerful SEO tool for WooCommerce. It allows users to dive deep into their site’s traffic, learn which pieces of content generate the most sales, and identify problems in your site’s sales funnel. The most important reason to link Analytics and WooCommerce is conversion tracking. Conversion tracking shows what users do after they interact with your site’s content. Did a landing page ultimately generate a sale? You quickly see how much revenue was generated per page, the conversion rates for a page, and much more. Reason: There could be a number of reasons, including a bad user experience, ineffective internal linking, an unclear call to action, or the traffic isn’t ready to purchase. Solutions: Solutions for low conversion can include simplifying the checkout process, adding internal links, improving your calls to action, or using an email subscribe button to re-market to cold “inactive” customers. How to Do Conversion Tracking in Analytics? Once you link WooCommerce and Google Analytics, the SEO tool will begin collection conversion data. google analytics and woocommerce: tips and guide to integration. Landing pages are the first pages that visitors land on your site. And in this report, you get a quick picture of revenue and conversion rates for your top pages. Conversions > e-Commerce > Product Performance – A quick overview of product conversion rates. how to best connect and link google analytics with woocommerce. Conversions > Shopping Behaviors – A quick overview of how much of your traffic turns into sales. Start Optimizing Your WooCommerce Store Now to Rank Higher and Increase Your Sales. There’s a reason WooCommerce is used on one-third of the world’s online stores. It’s powerful, user-friendly and designed to help e-Commerce sellers generate sales. Another helpful benefit: WooCommerce is great for SEO. Yet, although it’s great out-of-box, WooCommerce sellers must integrate SEO best practices into their strategies for optimum results. If you follow the tips and SEO strategies in this guide – which we’ve used to help our clients rank higher on Google – we guarantee you’ll start seeing results. Need some help? 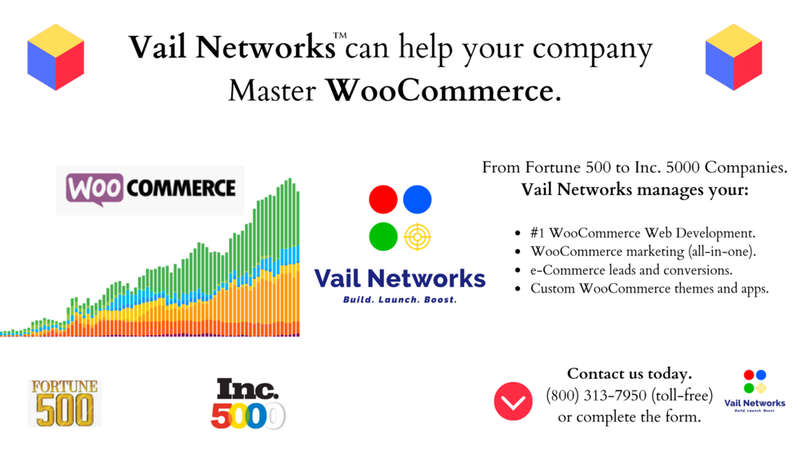 Vail Networks provides complete WooCommerce SEO and optimization support. We offer the best programs to help with your WooCommerce web development, digital marketing, and SEO. Learn about these programs and ways we can help you optimize and increase your WooCommerce sales.